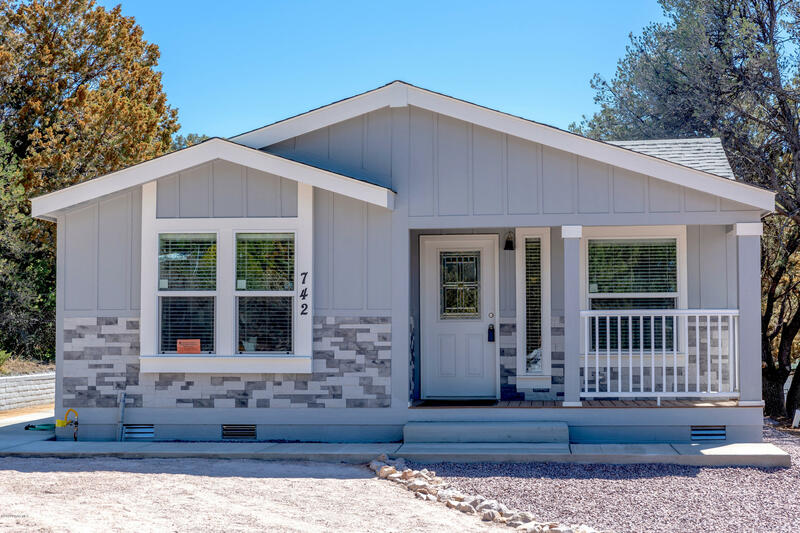 All Canyon Sights homes currently listed for sale in Prescott as of 04/22/2019 are shown below. You can change the search criteria at any time by pressing the 'Change Search' button below. "Brand new home just 2 miles from downtown Prescott on spacious elevated lot with views of Thumb Butte! Features open layout with stainless steel appliances, enclosed front porch, AC, heat pump, 3 bedrooms, 2 baths, kitchen island, vaulted ceilings, laundry room, walk-in closet and backyard patio. No HOA. Enjoy peace and quiet while staying close to the action. Agent related to owner."